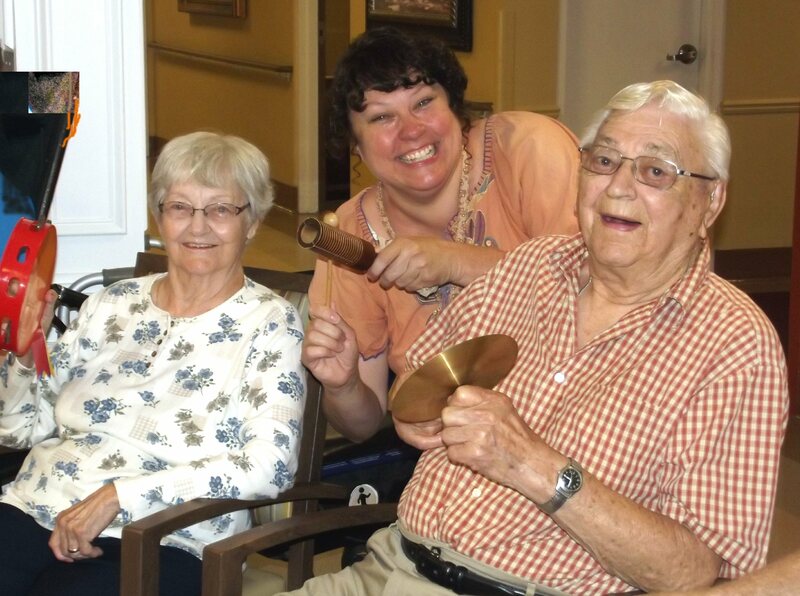 OSWEGO, NY – Residents at Morningstar Residential Care Center enjoyed a lively afternoon as they participated in Morningstar’s first Movin’ and Groovin’ session in the facility’s Great Room. Residents played a variety of percussion instruments and sang along to some of their favorite tunes. With Morningstar activity aide Heidi Baldwin, center, are Mabel and Leo Amyotte. Located at 17 Sunrise Drive in Oswego, Morningstar is a family-owned and operated, 120-bed long-term and sub-acute skilled nursing facility with full rehabilitation services.